The MAK is a museum and space of experimentation for applied arts at the interface of design, architecture, and contemporary art. The institution focuses its efforts on securing an adequate recognition and positioning of applied arts. It pursues new approaches to its extensive collection, which encompasses various epochs, materials, and artistic disciplines, and develops these approaches to compelling views. 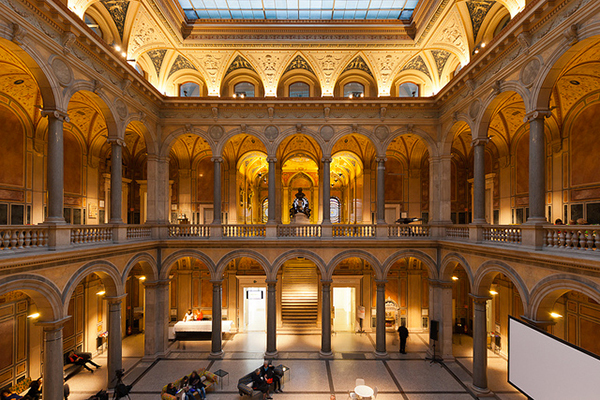 Founded as the Austrian Museum of Art and Industry in 1863, the MAK is committed to a sustainable improvement of cooperation between art and the economic sphere. It supports collaborations and networks, especially in design and architecture, which facilitate the effective realization of the creative sector's innovative ideas and offers companies new perspectives for positioning themselves on the market. The MAK develops novel ways of collaborating with corporate sponsors particularly in the context of design and architecture labs.